The story goes that when President John F. Kennedy decided impose the trade embargo on Cuba in 1962 he told his press secretary, Pierre Salinger, to buy up Cuban cigars prior to its going into effect. Salinger obliged the president’s request and delivered 1,201 Petit H. Upmanns (Kennedy’s favorite) to the White House the next morning. There has long been a great deal of cynicism surrounding the U.S. posture toward Cuba, which was dramatically altered earlier this week by President Obama. Cuba has, for the almost five and a half decades of its existence, used the U.S. policy as one of the many scapegoats for the miserable failure of their own economic central planning. 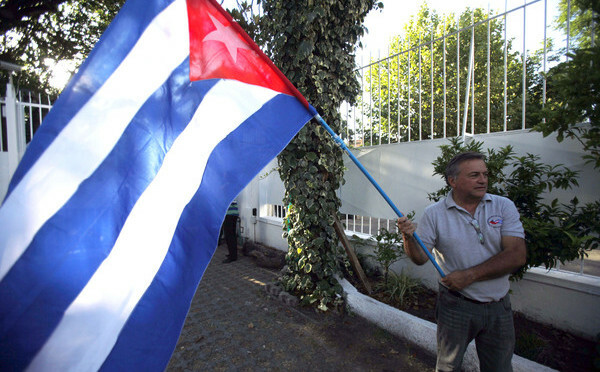 Some Cubans may now have the chance for greater contact with the rest of the world. Following the establishment of diplomatic relations between the two nations, lifting the trade embargo should break-up the Castro regime’s media censorship campaign, hopefully allowing the Cuban people greater access to ideas from abroad. But if relations were normalized, would people be more likely to board a plane or to swim shark-infested waters to gain their freedom? I was in Cuba in 1998 when St. John Paul II visited the island and called for “opening the world to Cuba and Cuba to the world.” Pope Francis, as the first Latin American pope and who is no stranger to the plight of the oppressed, is reported to have played a critical role in the restoration of diplomatic ties. Since the beginning of his pontificate he has been relentlessly calling for an economy of inclusion. What, indeed, could be more inclusive than trade and travel? After all, serious human rights violations are not effectively addressed through sanctions and protectionism. Open trade involves more than economics, but include cultural exchange opportunities as well, increasing the occasions for outsiders to observe and report on conditions. At the same time greater prosperity in Cuba will tend to give the Cuban people more options and resources to direct their own lives, even if, the regime maintains all the internal restrictions in place. A synthesis of free market economics within an overall moral framework requires a consistent application of the principle that free trade and human rights ought to mutually complement each other. The kind of embargo that was erected against Cuba a half century ago has not only been politically fruitless and economically harmful to the very people we say we want to help; it is morally dubious as well. Who really thinks that we can get people to be more like us when we enact policies (in this case, restriction of trade) when we act more like them? Free trade is not the solution to all economic, social and political problems. Nor does anyone expect it to be. That said, on my visits to Cuba and China, I have yet to meet anyone who thought restricting trade or travel helped, all of which will have to be negotiated once relations are normalized. Mutatis mutandis, those unfortunate to have to live under oppressive regimes are among the first to long for U.S. companies to setting up shop in their countries, gain new markets for their own products and will increase contact and opportunity for themselves. To have more exchanges with Americans at every level, whether it is through tourism, educational, trade or technological exchange, is what many Cubans want. The open question is to see whether the Castro regime — which, after all, remains ideologically Marxist and viciously persecutes anyone who steps out of line — will use this thawing as a way of moving Cuba away from 50 years of one party rule and a top-down approach to the economy, and towards wider freedoms. Their track-record, to date, would not inspire confidence. But whatever happens, and without implying any sense of moral equivalency, how sad and unjust it is that the Cuban people have been condemned to oppression for five decades under a kind of double despotism: communism internally and sanctions externally. May this be the last Christmas to see this injustice.